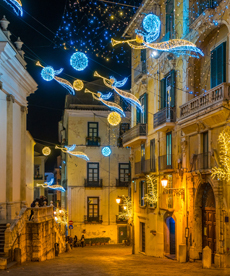 Each year, from November to January, Salerno nights are lit by giant and brilliant works of art by famous artists of the light. These are true masterpieces, which are installed in the most beautiful and attractive corners of the city. The magical “Night of Light” of Salerno, enriched by a series of events (music, dance, theater, performances) that complete the Christmas events, make of Salerno a city even more beautiful and attractive for the visitors, and represent a good opportunity to discover the beautiful and artistic monuments of the city, the pleasure of shopping, the quality and craftsmanship of local food, in a festive atmosphere full of serenity. The end of the summer on the Amalfi Coast is greeted by the Fish Festival held at the “alternative” beach of Positano, Fornillo. 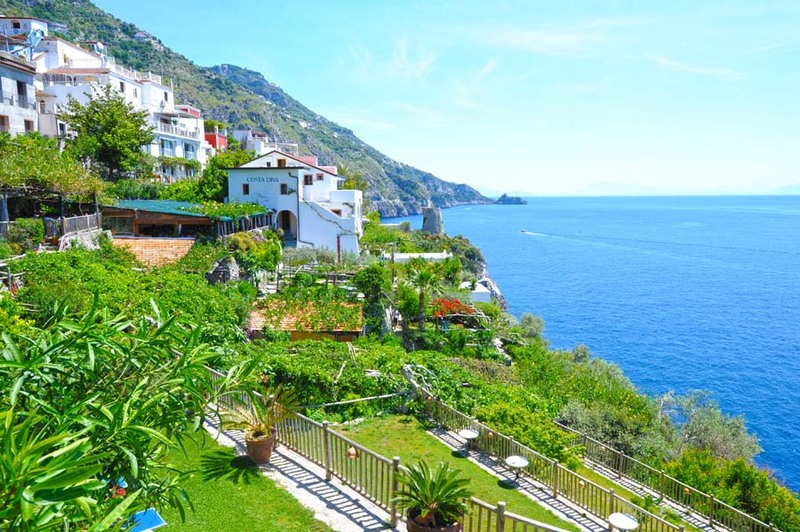 In the square of the Mills in Positano it is possible to embark on various ferries directed to the beach. 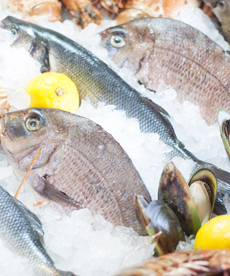 Here you can taste excellent dishes based on fresh fishm, and the evening is enlivened by a musical group, pending the lampara arriving around 23:00 for a demonstration of fishing. The Byzantine New Year is a historical re-enactment that takes place in Amalfi and Atrani to remember the nomination of the Grand Duke of Amalfi. This celebration for a thousand years was held on September 1st, which in the Byzantine period was considered the beginning of the year. 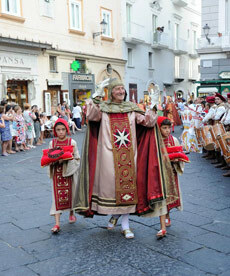 The last day of August in Amalfi it is held the Byzantine Empire Palio, with parades and jousting in medieval costumes. The next day in Atrani there is a representation of the handover to the new Duke.